We are among the most prominent manufacturers and suppliers of a large gamut of Road Safety Items and Equipments. 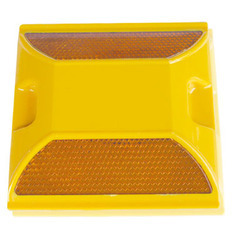 Our range consists of Road Safety Cones, Road Studs, Road Rumble Strip, Portable Floor Stands, Road Convex Mirror, Road City Barricade, Speed Retroders/Humps and many more. These products are widely known for their durability, reliability, weather resistance, sturdy nature and reliability. With years of experience, we are engaged in manufacturing and supplying a wide range of Road Safety Cones. These cones are fabricated using premium quality virgin plastic using UV stabilizers and advanced machinery tools along with the reflective sleeves that make them visible to the viewer in extreme weather conditions. These cones are used in construction sites and for rerouting and managing traffic on road. 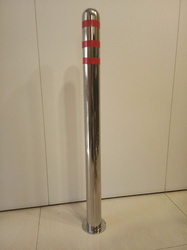 We are one of the leading trader, distributor and exporters of SS Bollard. We are a leading manufacturer and supplier of a quality safety products, which include, Spring Posts. These spring posts are fabricated using premium quality plastic and come in a single piece. Extensively used at road construction sites to usher flow of traffic, we offer these stylish & weatherproof spring posts at market leading prices. Road Studs are generally more flash full and providing a steady light at the side surface of the road. These are the machines which are used for any vehicle collapsing and incident on the road. Solar Powerd LED Road Stud of Alloy Material With Shank, 3 LED Flashing at Both Side With Red Colour. Auto on / Off ( Dusk / Dawn) with Photometric Switch IP 68 CE Modelled. With years of experience, we are engaged in manufacturing and supplying a wide range of Road Safety Cones. These cones are fabricated using premium quality virgin plastic using UV stabilizers and advanced machine tools along with the reflective sleeves that make them visible to the viewer in extreme weather conditions. These cones are used in construction sites and for rerouting and managing traffic on road. 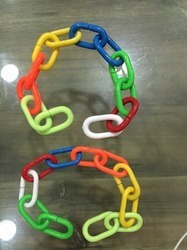 We offer Safety Chain to our valuable customer and our product is made of good quality. 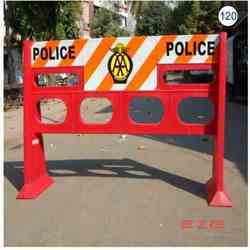 We are leading supplier of PVC Detachable Barricades. These are launched the first time in India. We are the leading and prominent Manufacturer, Supplier, Trader and Exporter of Wheel Stopper. 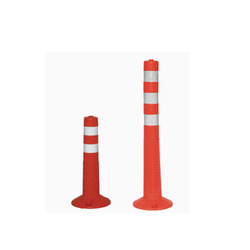 Traffic Safety Cones offered by us are used for street barriers and indicators of restricted areas offering superior visibility both at day and night. We are engaged in manufacturing and supplying a large gamut of Portable Floor Stands. We have designed and developed our exclusive range as per the industry standards and set norms. These stands are manufactured by using high-quality stainless steel and sophisticated technologies, which ensure their durability and longevity. Moreover, each stand offered by us is well tested on certain quality parameters. Clients can avail our range of different specifications. We have gained a vast industry experience in the field of manufacturing and supplying a large variety of Plastic & Metal Barricades. We use world class raw materials in fabrication of these barricades, which are sourced from some of the reliable and authentic vendors of the industry. Moreover, one can avail our exclusive range in varied specifications and at most affordable rates. 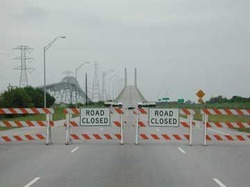 We also offer on-time delivery of these barricades. 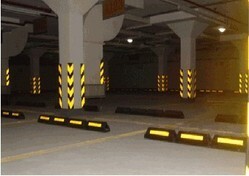 An extensive range of Parking Lot Barricade can be availed from us. Manufactured using best quality raw materials, these barricades are available in varied specifications and at most economic rates in market. The range offered by us is made in adherence with the international quality standards. 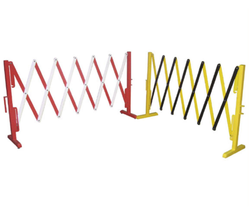 Suitable for construction sites, and outdoor events, these barricades are robust designed and are sturdy in nature. 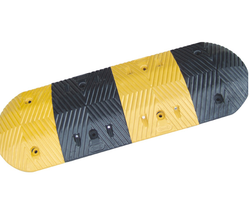 These Rubber Corner Guards are long lasting, durable, and cost-effective solutions. High intensity reflective tape increases visibility - especially at night, and provides the necessary guidance to drivers when parking in tight spots. The Rubber Corner Guards help protect property and vehicles from dents and scratches and is ideal for surface and multi-level parking lots and interior factory / warehouse walls. Queue Manager offered to find support in ensuring efficient management of the queue and find extensive use in areas like metro stations, malls, airports and other such places. These come in durable construction finish and allow for superior mobility support. 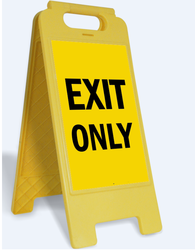 Some of its features include fine finishing support; provides working support as a professional barrier system for superior work management; suitable for use in commercial and retail spaces, child safe mechanism that safeguards from whip back; post bases come with a rubber mat for preventing slippage and floor marking. 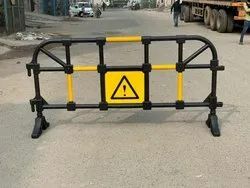 Offering Foldable Expandable Barricades.To match up the specific needs of the customers, we are engaged in offering a large array of Foldable Expandable Barricades. Our products can be folded or expanded as per the needs of the customers. We offer products to the patrons in recommended specifications and after testing them. 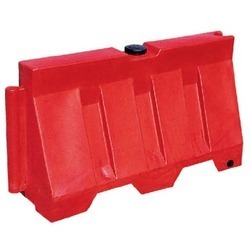 These Foldable Expandable Barricades are sturdy thus highly demanded in the market. Customers can avail products from us at affordable rates. 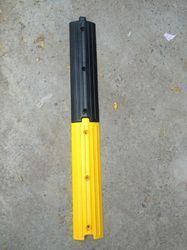 Counted in category of topmost organizations, we are offering Plastic Road Stud to our clients. It is available in curved shapes and useful for road safety. Offered range of this can be applied for busy traffic intersections, coastal areas, foggy weather, dangerous and sharp road bends; airport guidance light, hilly areas fly-over; and four-lane highways. This is available with several benefits as well and is used for improvement in driving awareness. Most importantly, it is also sued in complexes with underground parking, hotels, hospitals, shopping mall etc. 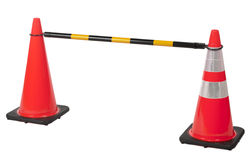 As road safety barrier systems finding use in highways and areas of construction, these Road Barrier options help in preventing vehicles from collusion with obstacles. Further, these also find use in preventing errant vehicles from prohibited areas. Some of its advantages include providing for safe and effective usage, all road barriers undergoing extensive tests before they are approved, use of quality material in construction which meets the lasting performance standards and others. 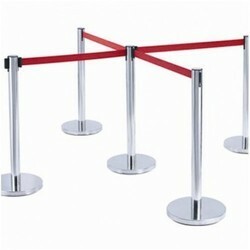 We can also custom develop these barriers as per the specifications provided by the customers. Our organization is occupied in offering an unmatched quality range of Divider. 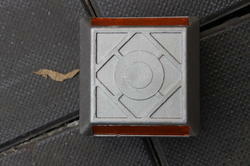 We manufacture these by using superb quality basic material in compliance with industrial quality norms. To cater the various needs and expectations of clients, this Divider is provided in varied shapes and sizes. Our offered product range is strictly checked by our trained quality analysts to ensure their durability. Our ranges of products have supreme strength as they are quality tested in different operation of the company. 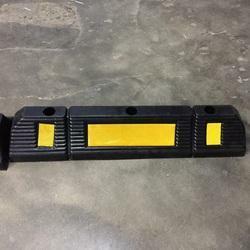 Barricade tape helps you control access to or warn of hazardous areas such as open trenches, construction sites, wet floors, wet paint, fresh tar, etc. Barricade tapes are constructed of rugged polyethylene tape that can be tied, taped, stapled, nailed, etc. To posts, walls, fences, or barricades. Backed by a team of a dedicated and dexterous workforce, we are engaged in manufacturing and supplying a wide range of Speed Retroders/Humps these humps are fabricated under the strict control and guidance of our industry experts. We have developed our range in accordance with the industry standards. Our range of these humps is bolted and glued to any type of hard surface. These are used in decreasing traffic speed on a commercial or residential roadway. 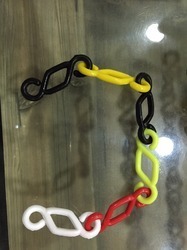 Our experienced professionals, with their years of knowledge and huge experience enable us to provide matchless quality range of Safety Chain Plastic. We fabricate these products with the use of high quality material, components and sophisticated technology. The raw material is sourced from the authentic and official vendors of the industry. Our manufacturing unit is equipped with advanced technology for manufacturing and testing these products. We have emerged as one of the top most name in the industry for our extensive range of products. Name :- Metal Road Stud. Weight :- With Shank And Two. Refl. Panes :- 170 gms. Compressive Strength :- 60 Tons. To meet the various requirements of the customers, we are involved in offering a wide assortment of Traffic Rubber Speed Breaker.